On Jan. 25, 2018, Colorado Hospital Association, in partnership with the Colorado Office of Behavioral Health, hosted the first ever Colorado Opioid Safety Summit. 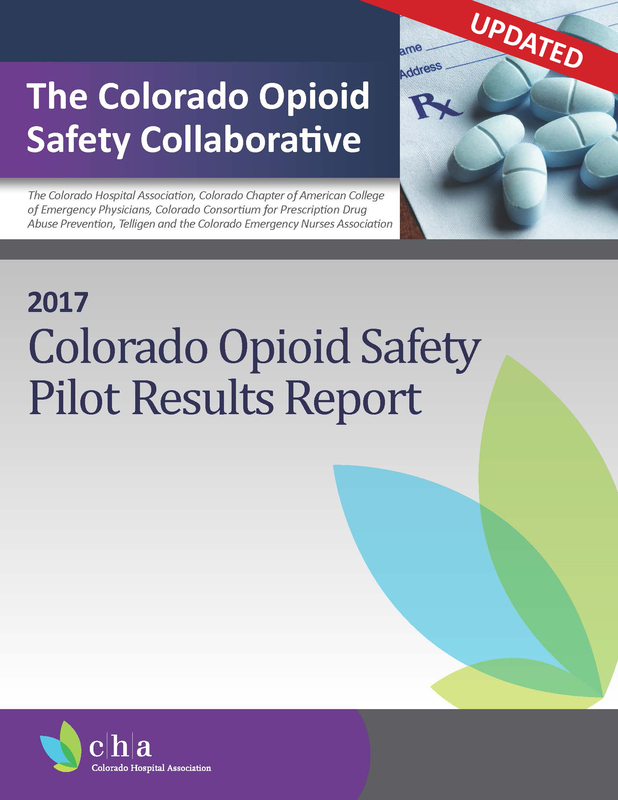 This summit showcased the results of the Colorado Opioid Safety Pilot (available below) and was attended by over 350 people. The Pilot study has already gathered national attention for its significant strides towards limiting opioid use in emergency department settings. The summit also featured a discussion panel with spokespeople from each of the participating hospitals, a variety of keynote speakers and a lunchtime poster session.